Closed qualifiers have already started! The EPICENTER: Moscow qualifiers are entering their decisive stage tomorrow already! Closed qualifiers will be held in four regions, with their winners earning a right to play in the main tournament. Prepare for a whole week of dawn-to-dusk Dota of the highest caliber! 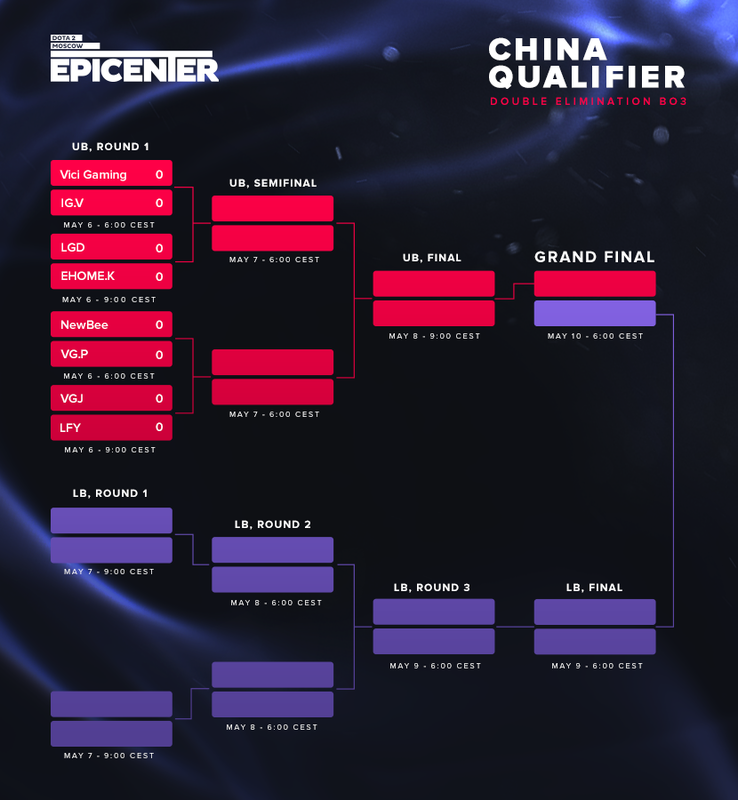 The Chinese qualifier begins on May 6 at 6:00 CEST. Eight top teams will fight fiercely, but only one of them will make it to EPICENTER: Moscow. Who is the strongest? We’ll find it out soon! The European qualifier starts on May 6 at 13:00 CEST. Team Secret, Alliance, Natus Vincere, and other European powerhouses, will fight for a slot in EPICENTER: Moscow. The Asian qualifier starts on May 7 at 9:00 CEST. The best region’s teams, including Faceless, Fnatic and TNC, will fight for a slot in EPICENTER: Moscow. Let the battle begin! The American qualifier starts May 6 at 16:00 PDT (May 7, 01:00 CEST). Eight of the region’s best teams will battle each other for a much-coveted ticket to EPICENTER: Moscow; these include teams from North and South America as well as international squads. We look forward to an epic spectacle! Watch the game live on our Twitch.tv channel!